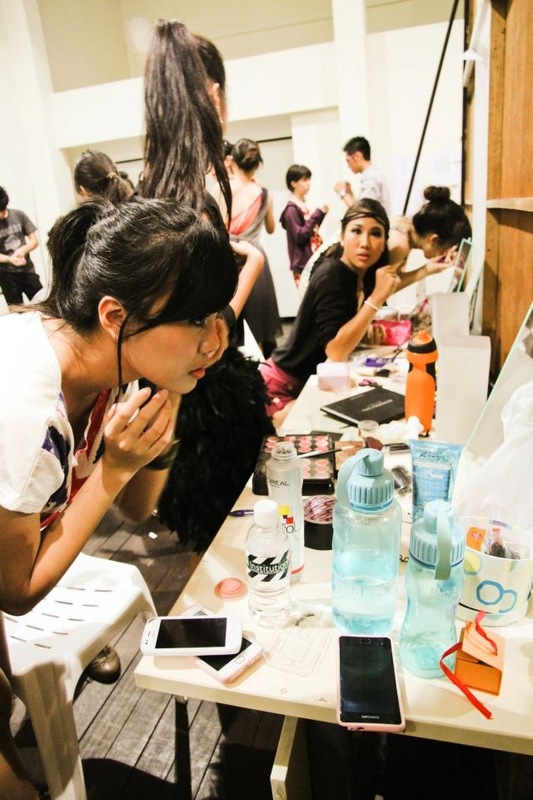 Raffles Runway is a community of passionate students who enjoy reading, creating and experiencing fashion. 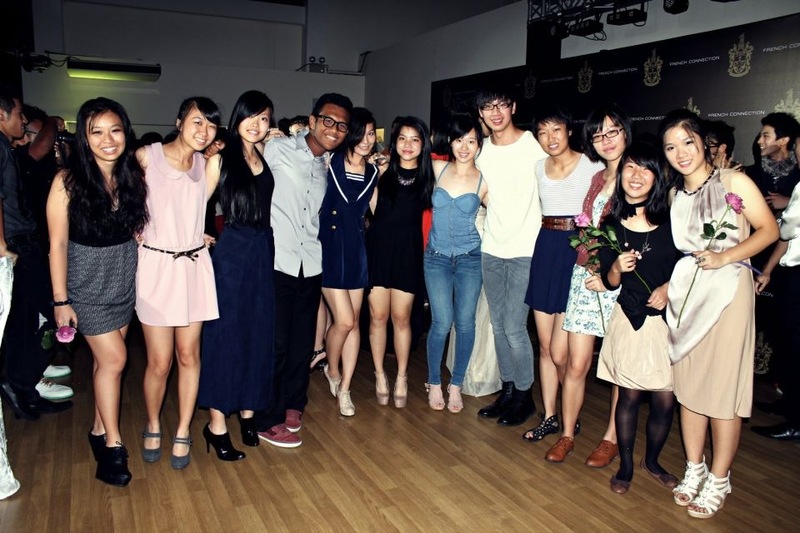 The club came into being several years back when it started out as a student initiated group, but gradually garnered attention for the outfits shown during the fashion shows, then held on a smaller scale in RJC’s Multi-Purpose Hall. Since 2008, Raffles Runway has become an official CCA, and year after year, we are ever so proud to present to the school the culmination of our efforts during our annual fashion show, R Project. However, Runway is definitely not all about the glitz and glamour, but also the experience of being around and working with like-minded people who have a common passion for fashion. As designers, we come up with fashion sketches according to themes, go fabric shopping together and sew together in the runway room. Every Monday, we meet for two hours to have sewing lessons, design consultations with our seamstress, and sometimes even have the privilege of getting expert advice from people working in the fashion industry! R Project is the heart of Raffles Runway. Held every May, it is the pride of Runway members to say that it is entirely initiated and run by students, and is what every member has put their sweat and soul into preparing for. From deciding the themes of the show to creating the outfits itself, every runway member has a stake in the show. Apart from the clothes, we also undertake the roles as photographers and hair and makeup artists for our student models. Even though the show usually lasts over an hour, the process of preparing for R Project begins months before. In many senses, R Project is the fruit of every member’s labour as an individual, but also as a batch, because every year’s R Project is unique to the graduating Year 6s. Seeing your outfit modelled by a fellow student on the runway is the dream of many designers, and Raffles Runway gives designers an opportunity to experience being a fashion designer. On top of that, how often do students get the chance to pull together a fashion show, all by themselves? Runway aims to nurture members not only in fashion design and construction, but also influence the community with our creativity and bring fashion to the masses. This is why in recent years, R Project has attracted media attention, and seen a rise in student attendance. R Project 2012 – Memento Mori, featured a Gala Night which had full attendance, where 35 Raffles Runway students 70 designs to an audience consisting of Principals, teachers, fellow batch mates, and the media. The show also featured UK fashion brand FCUK, and was graced by guests who included internationally-acclaimed fashion designer, Wykidd Song, Audi Fashion Festival Director, Tjin Lee, ELLE Singapore Editor-in-Chief, Sharon Lim and Fashion Stylist, Jumius Wong. So, have you ever wanted to design and sew your very own outfit? Then don’t be afraid to show us your skills and sketches, because we are looking for passionate, fashion-conscious students who desire to delve into the world of fashion design and construction. With that, signing off with a quote from Karl Lagerfeld: Fashion designers are dictators of taste. Running a business shouldn’t come as a challenge for any member of the Raffles Entrepreneurs’ Network (REN). The club’s members are regularly exposed to various vicarious and unmediated business situations that train them for the real world. Just as you thought you had seen the last of Mother Tongue, you are now overwhelmed by several options. We are sure Ms Chen, our friendly Dean of Systems, has briefed you extensively on statistical matters like the probability of a marked improvement in your O-level grade by retaking. Here, we look into each option and interview the seniors who have “been there, done that” for their personal experience.